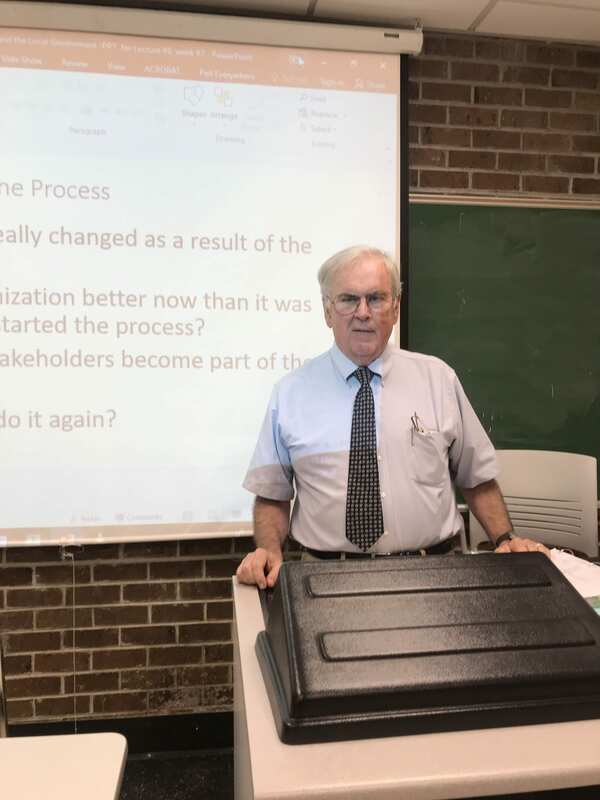 The MPA department is pleased to welcome Jim Budds as an adjunct faculty member this semester. 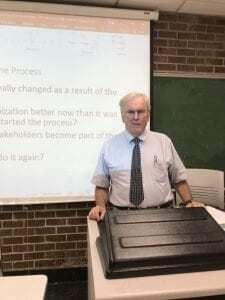 He is teaching Local Government Politics and Administration. Students enrolled in this course will examine the role of local government administrators and explore the theory and institutions behind their political environments. 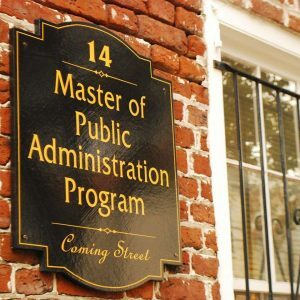 The following is a Q & A with Jim Budds about his experience in the public sector and his perception of the MPA degree within local government. Q: Can you describe your educational and professional background in local government? A: My educational background includes a BA in Political Science from Fordham University and an MPA from the University of South Carolina. Professionally I have been City Manager of Abbeville SC, City Administrator of Bennettsville SC and served eight years as the Executive Assistant to the Mayor of Charleston. I have also served as a senior fellow at the Southern Center for International Studies and have over twenty years experience as a consultant and trainer for local governments, mostly in Eastern Europe and the former Soviet Union, under contract to firms doing projects for USAID, UNDP, OSCE, World Bank, and the EU. This includes work in some 19 different countries. Q: Within local government, what is your perception of the value of earning a MPA degree? A: I believe that the MPA degree has virtually become mandatory for senior level management jobs in local government. This is for several reasons. First, it is simply a matter of numbers… Enough applicants for jobs have such a degree that those without are generally not considered. Secondly, the level of expertise necessary to do a good job of senior management increases constantly and a lesser amount of education simply does not provide sufficient expertise. Q: What do you enjoy about teaching Local Government Politics and Administration, compared to being a practitioner in the field? A: As my career choices indicate, I have always had a great deal of interest and enthusiasm for the role of local government in our daily lives. This continues today and the opportunity to share the experiences as well as contribute to the preparation of others with ambitions to do the same is very satisfying, and hopefully will be helpful to that end. It is particularly satisfying to run into those that have been students in the program who are now working for various local governments in the region.